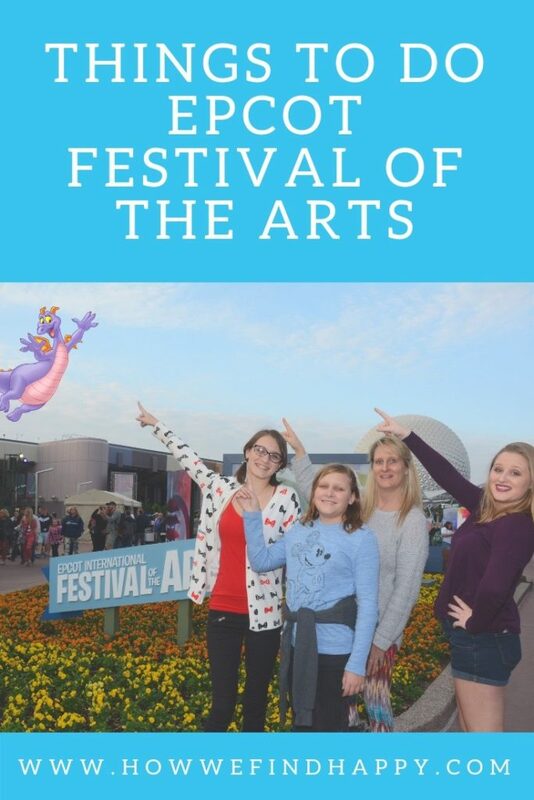 Being a family that not only enjoys the arts, but has girls who are all involved in the arts in different ways, is just one reason we love the Epcot International Festival of the Arts. 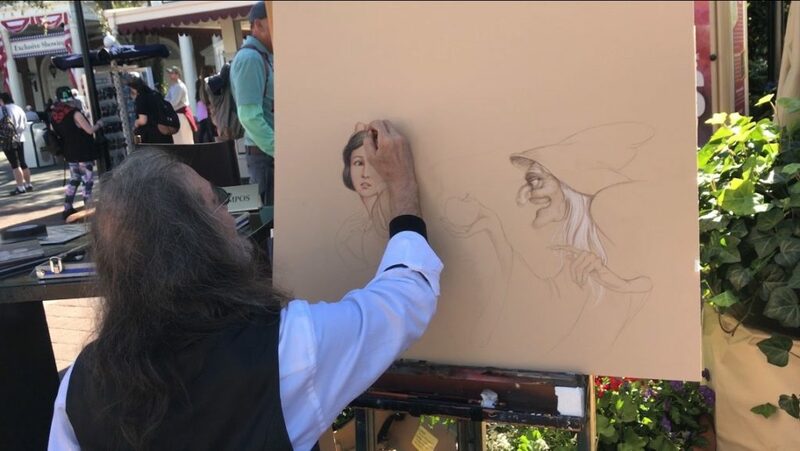 Since it’s the newest of festivals at Epcot, most may wonder what are the things to do at the Festival of the Arts. 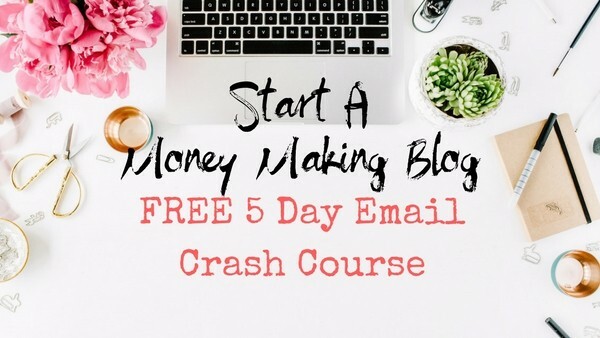 Hopefully this will give you a glimpse of just how much there is to do and keep you busy. 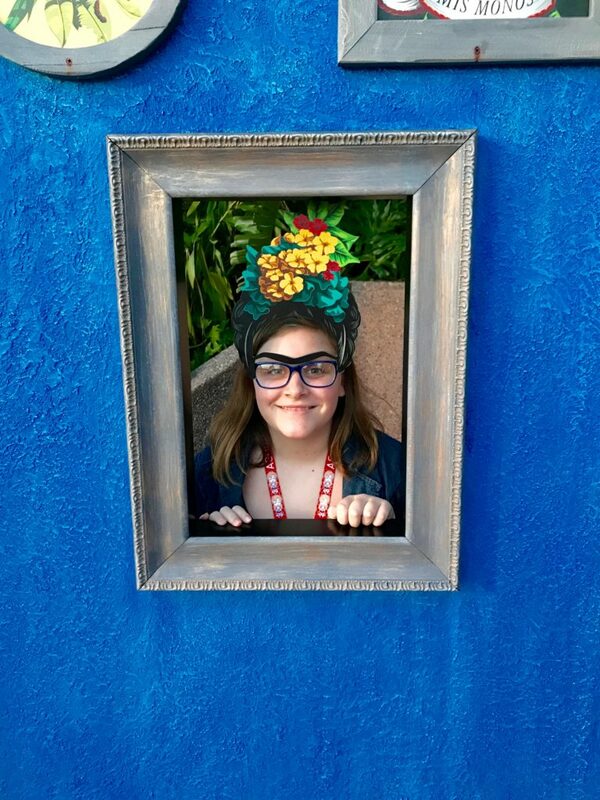 Not that we aren’t already surrounded by art at Epcot, but during the festival, it comes alive in so many ways. 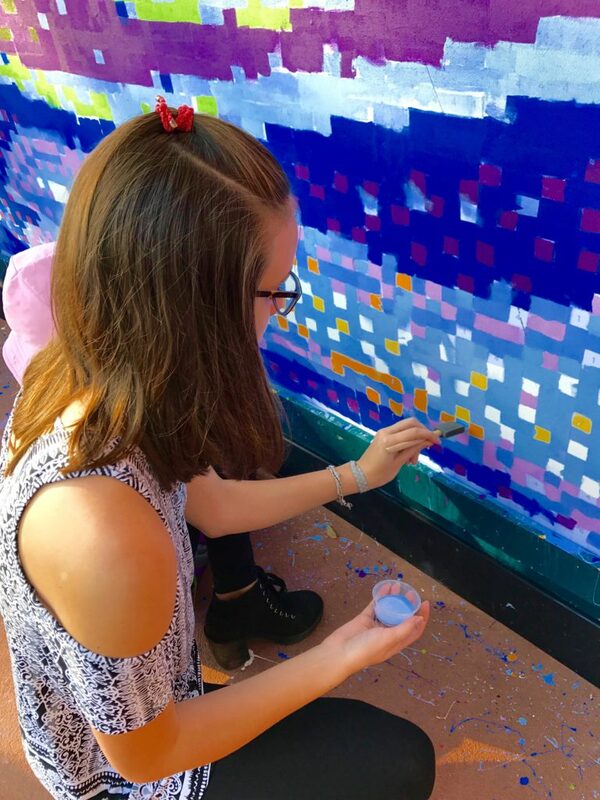 You have a chance to be an artist, and part of a group painting by choosing a number, picking up your paint, and participating in the “paint by number” walls. 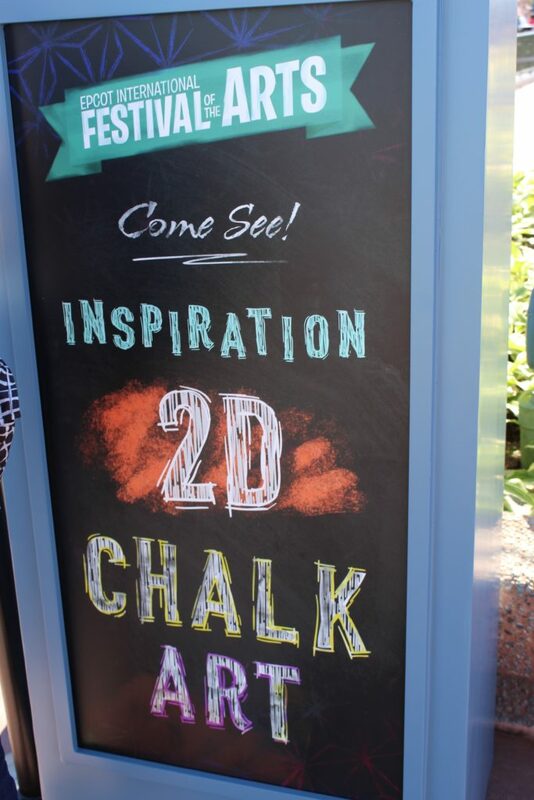 Chalk art can be found around the World Showcase. You might even catch an artist in action, check out our video!! Booths from different vendors/artists are set up around the World Showcase and other parts of the park. 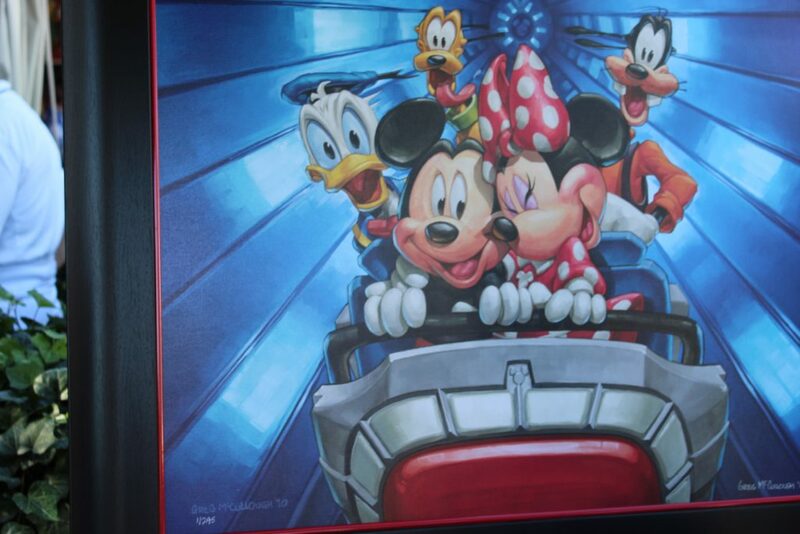 You have the opportunity to view and shop for unique Disney inspired paintings and drawings. Artists may be found working on projects. You can talk with them, and possibly get your purchases signed. I’m not sure it’s possible to hear “Epcot,” and NOT think food. Epcot sets the bar when it comes to festival eats! 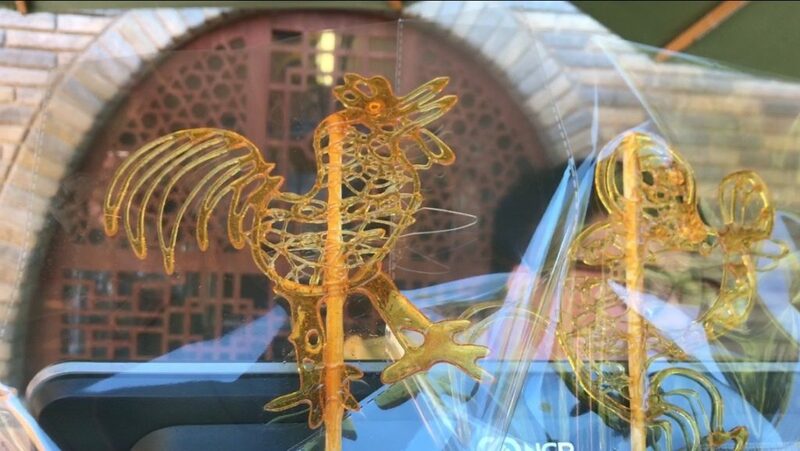 Veteran festival goers look forward to new culinary treats every year, as each festival begins. 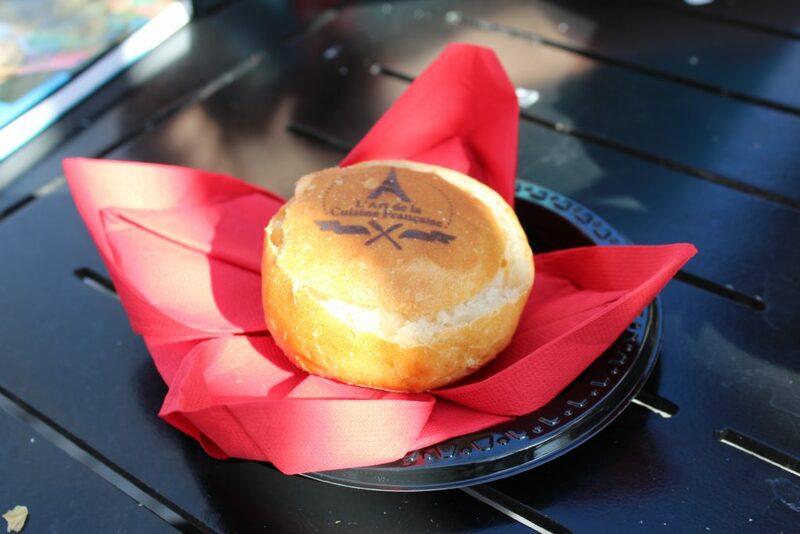 Art is incorporated into some of the dishes, like this Crème de Brie en Petit Pain, known as warm creamy Brie in a house made bread bowl. YUM!! 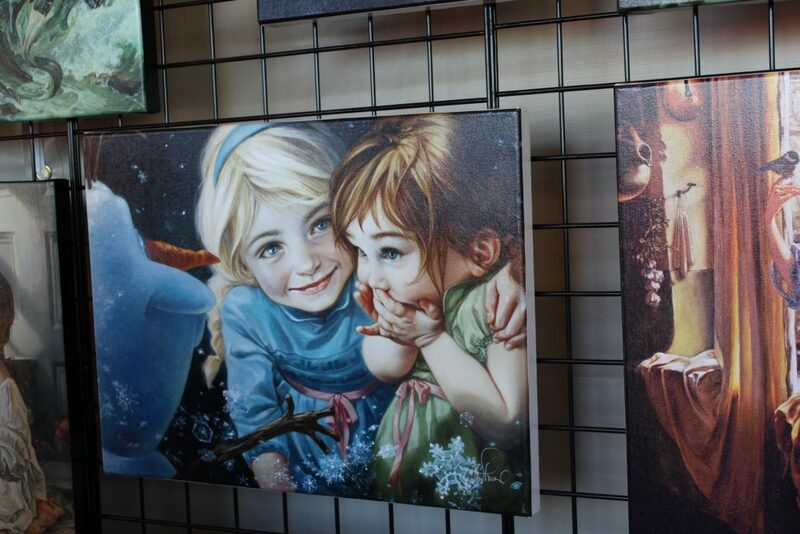 You can also find some treats, like these sugar paintings, which are complete art. Beer, wine and cocktails are part of the special cuisine. 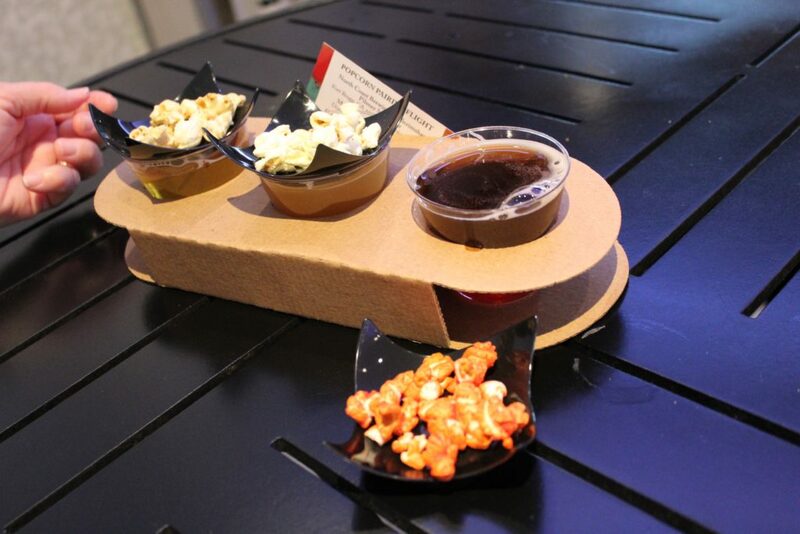 Check out this beer flight with popcorn pairing. Not mine, I just asked a nice lady to take a picture of this beauty. 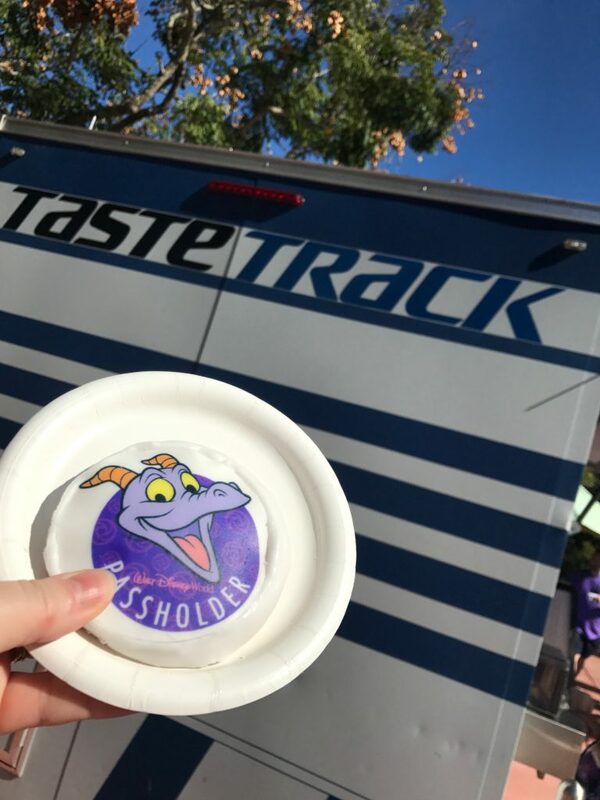 Since we went on opening day, during the first week, we were able to get our Figment passholder sugar cookie. 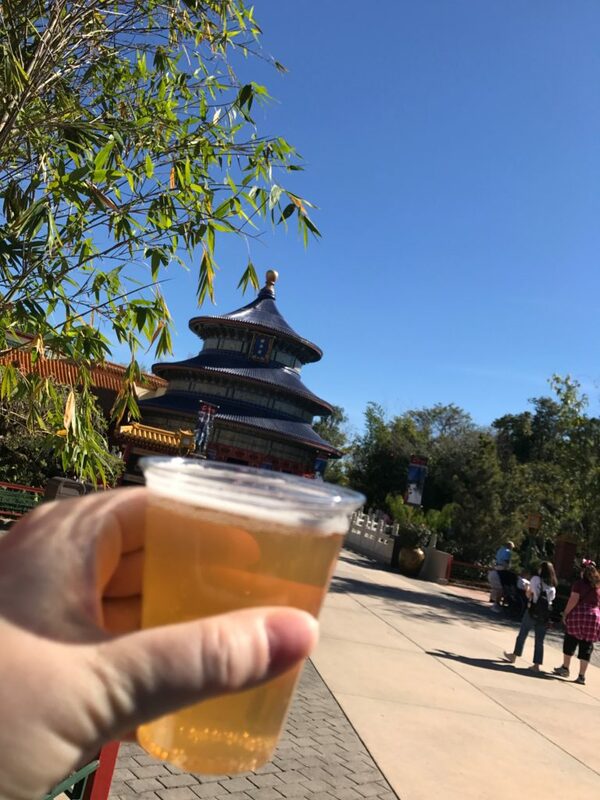 I was happy to see the Jasmine draft beer still on tap in China, since I never got the chance to try it during Food & Wine Festival. There is so much to choose from, I suggest grabbing yourself a festival passport so you can browse and decide what you want to taste. Oh, the entertainment!! 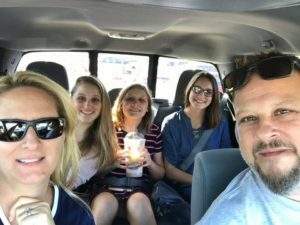 My girls and I are pretty big Broadway fans, so when the Festival of the Arts began in 2017, we were most excited about seeing some of the Disney Broadway stars perform top hits from Disney Musicals. 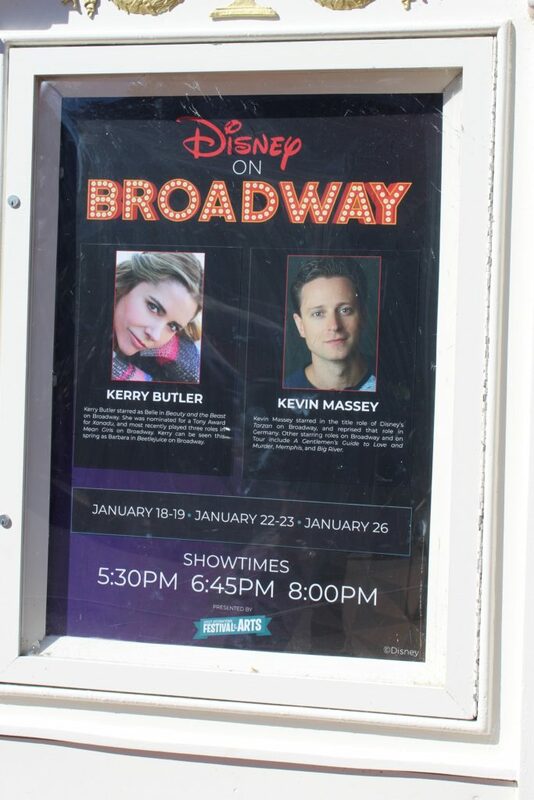 This year kicked off with Kerry Butler and Kevin Massey. 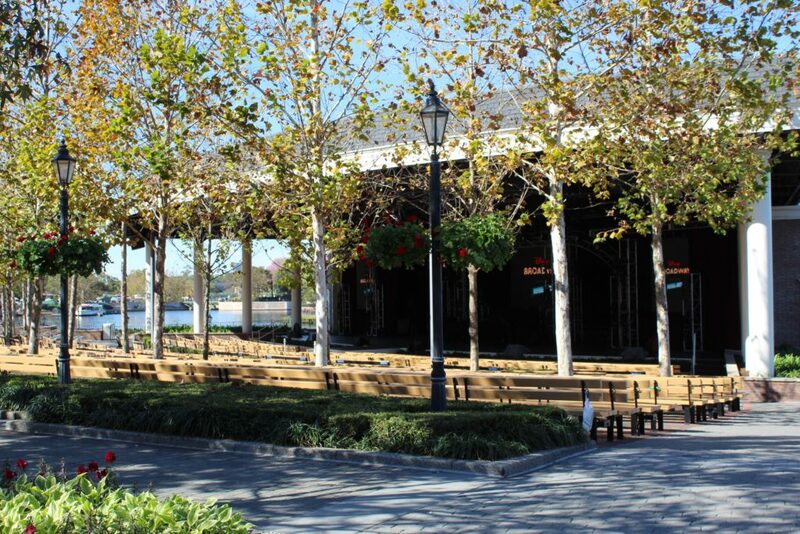 The concerts take place in the America Gardens Theatre. You can find the full schedule of performers online. For seating, you can either purchase a dinner package for guaranteed seats, or you can wait in line for standby seating. 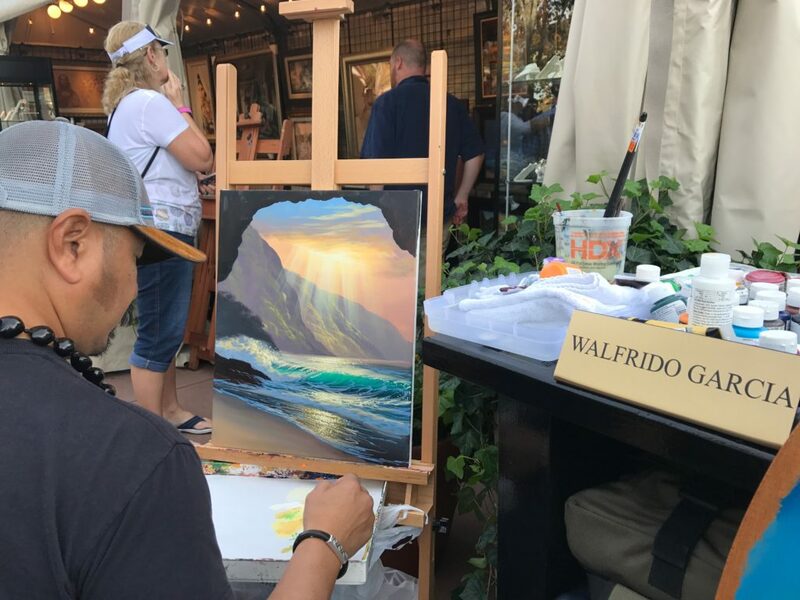 The arts festival is growing in popularity. This was obvious on opening night. I had never seen the theatre as packed as we did that night. Other entertainment to check out is Bodh’aktan on The Mill Stage in Canada, and Delta Q, an accapella group, on the Germany stage. We enjoyed both. Fountain Stage and Plaza houses art defying gravity acts, top high school bands, living statues, and visual art performances, where artist bring Disney art to life before your eyes. 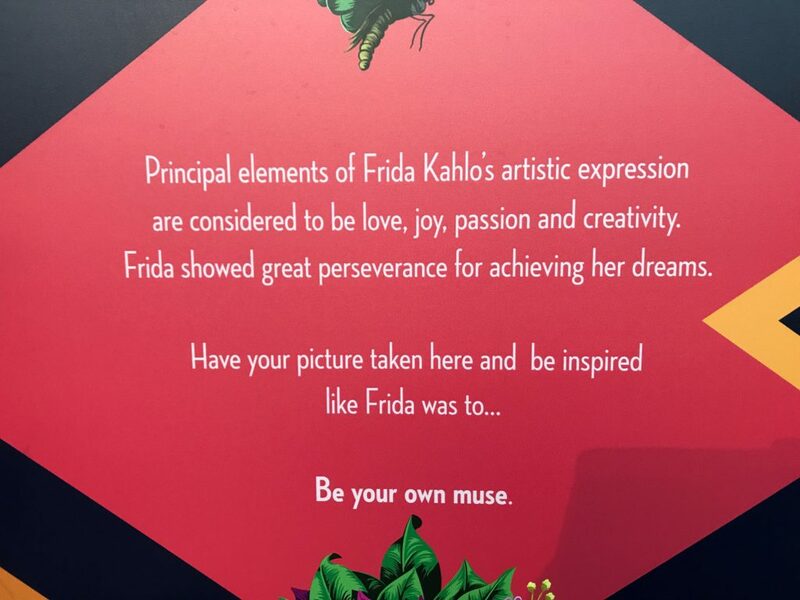 Be sure to take advantage of the photo opportunities through the park, where you become the art. We’ve had fun with these over the years. 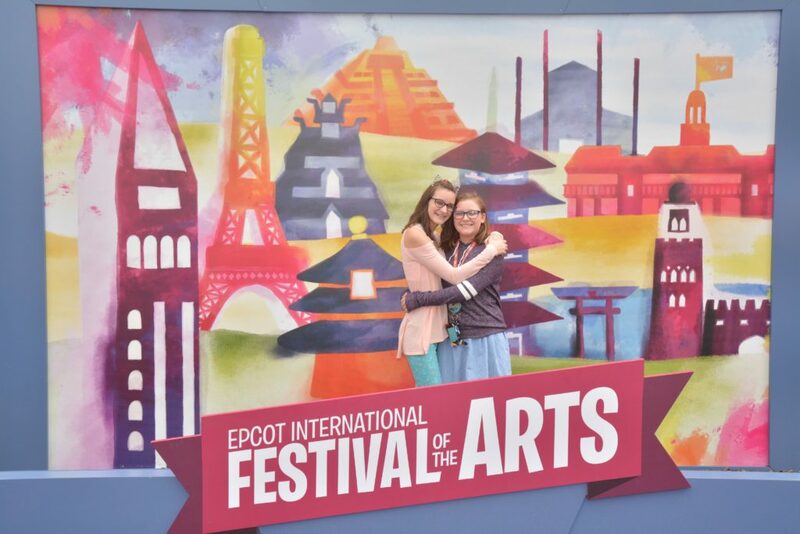 If you think this seems like a lot of things to do at the Epcot Festival of the Arts, you would be right!! And this is only some of the fun. Be sure to check out more details on Disney’s website, so you can plan your visit. 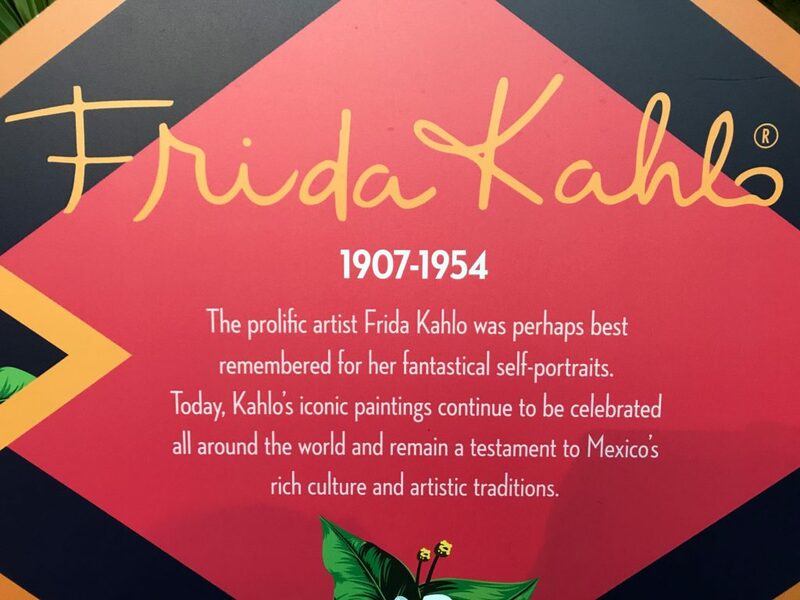 Have you been to the Festival of the Arts? What are you most looking forward to this year? 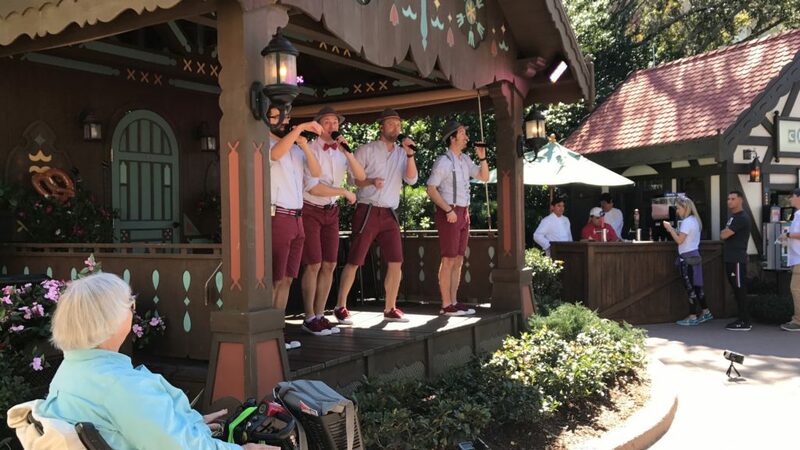 Curious about Epcot’s Food & Wine Festival? You can see our fun here!! 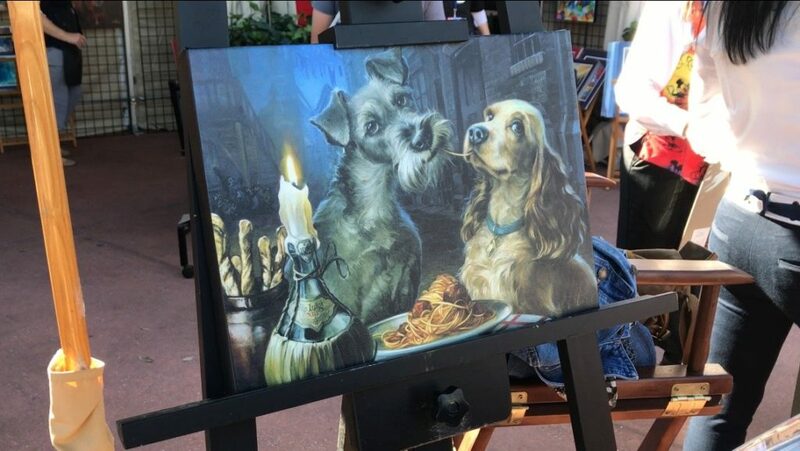 I never knew Epcot had the Festival of Arts! This would be up our alley. I’m going to have to look up the next one to see when we can go. 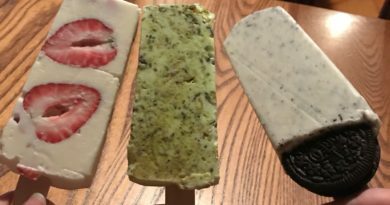 Thank you so much for sharing it looks like so much fun! If you love the arts, you will love this!! Happy the post was useful! 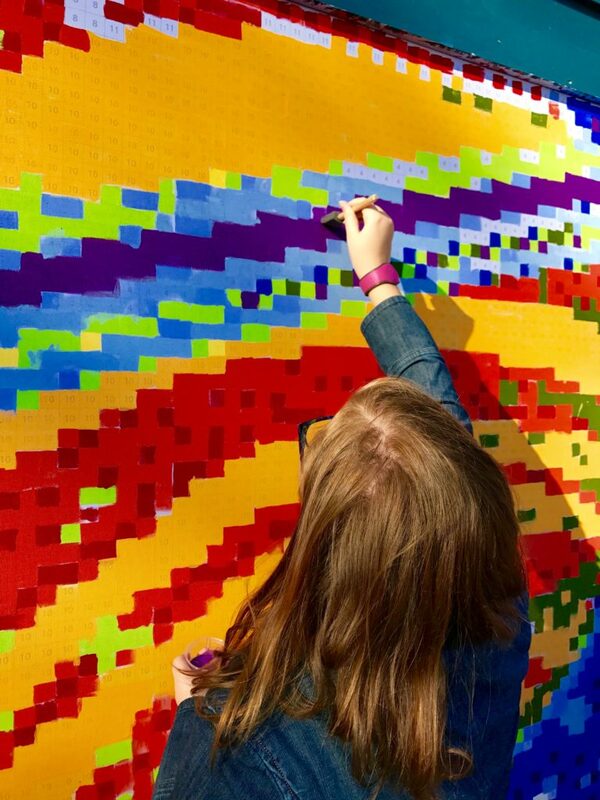 That’s so cool – So much to do & see there! I’m a Florida native and Epcot was my favorite of the Disney parks cause of all the cultural diversity and worlds colliding. We love all the culture too. You can partially travel the world, all in one place! We just missed this festival last year by a week! Our next trip isn’t until April so we’ll miss this year too. Maybe next year! Ooooh, April you will be at the Flower & Garden Festival!! We will be at Fort Wilderness for the End of April too. January is definitely less busy than April. Wow, what a cood adventures for all ages! I haven’t been to Epcot in decades but after seeing your article, I want to go back soon! Yes! Go back. There is so much to do there. 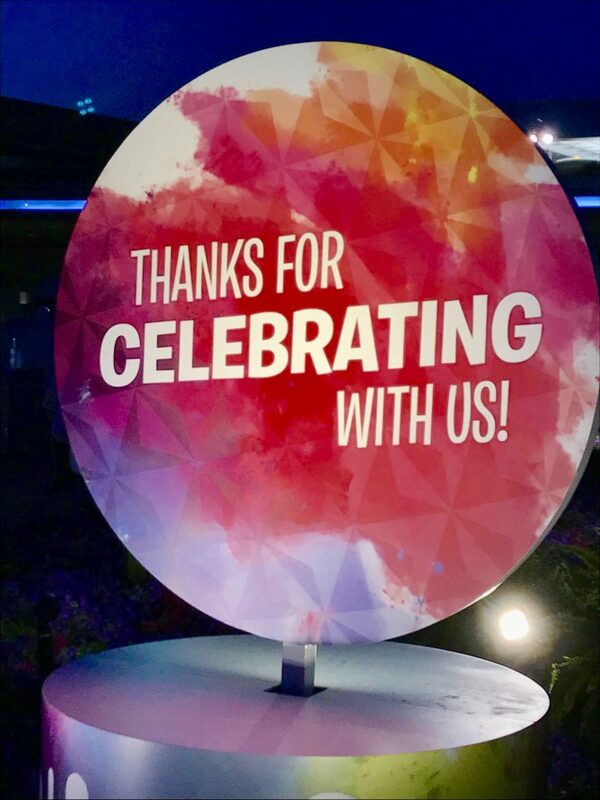 We spend more time in Epcot than all other parks combined! Wow this looks awesome! 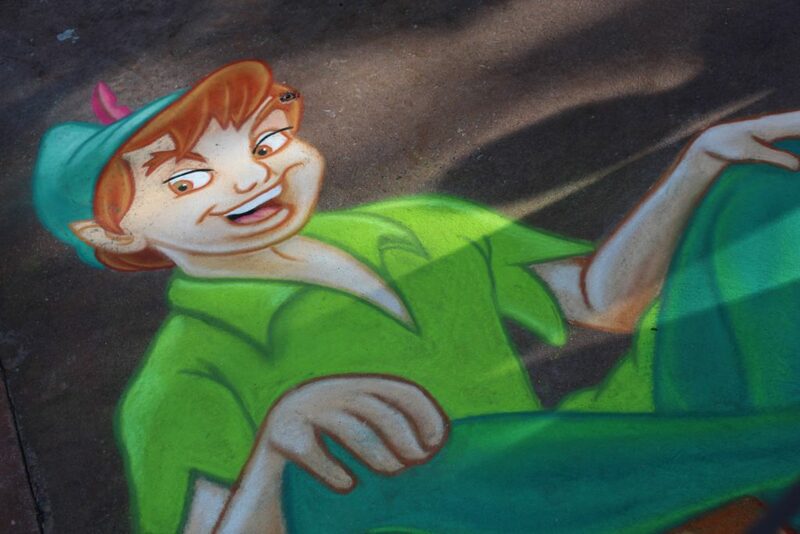 That sidewalk chalk art is amazing! And that food… yum! When we go back to Epcot, it might just have to be when this is going on! Isn’t it??? Definitely check it out!! So worth it! I’ll need to plan my next Epcot visit to coincide with this festival! It looks incredible. Love the chalk art scenes! Wow! That looks like a lot of fun! The chalk art is impressive. I really like the chalk art too. Each time we go, it will be different too. Wow, look like fun for all ages! 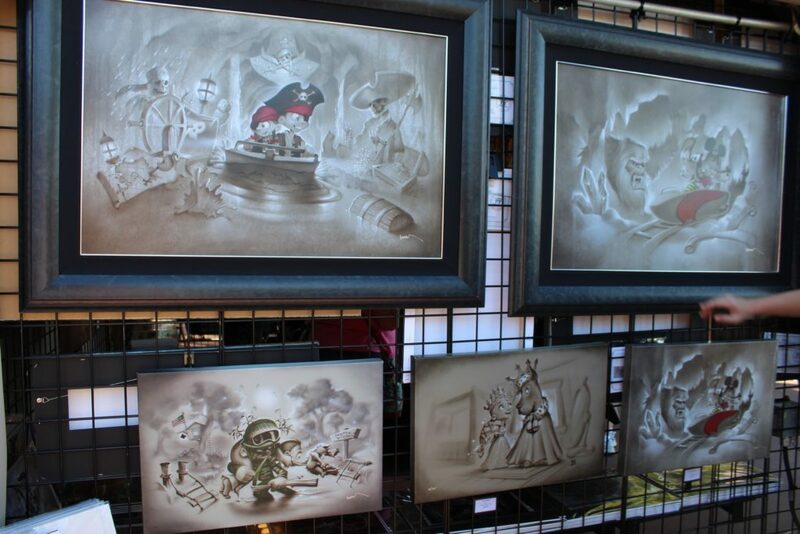 I love the chalk art and caricatures! 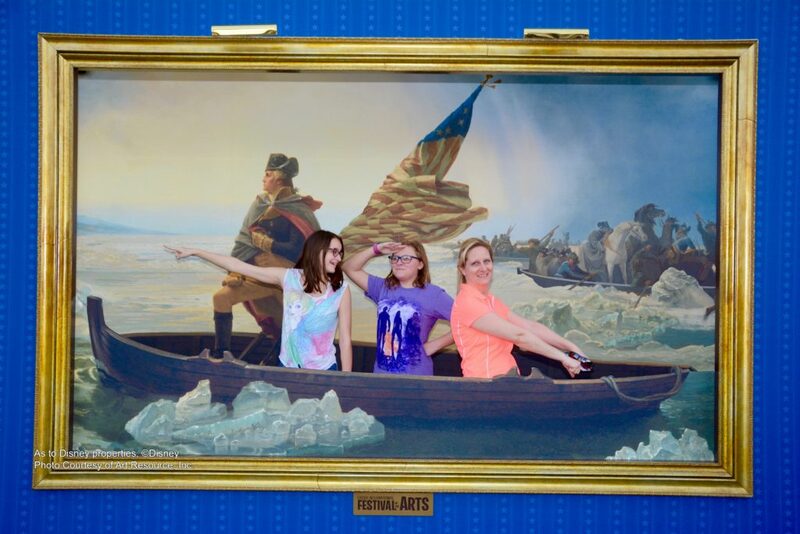 We have not been to the Festival of the Arts. 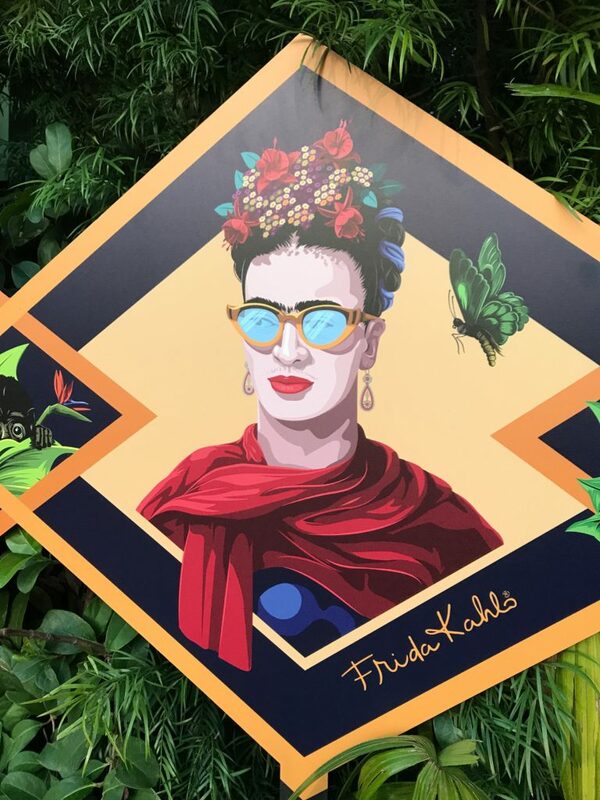 I loved the 3D art. That is amazing. 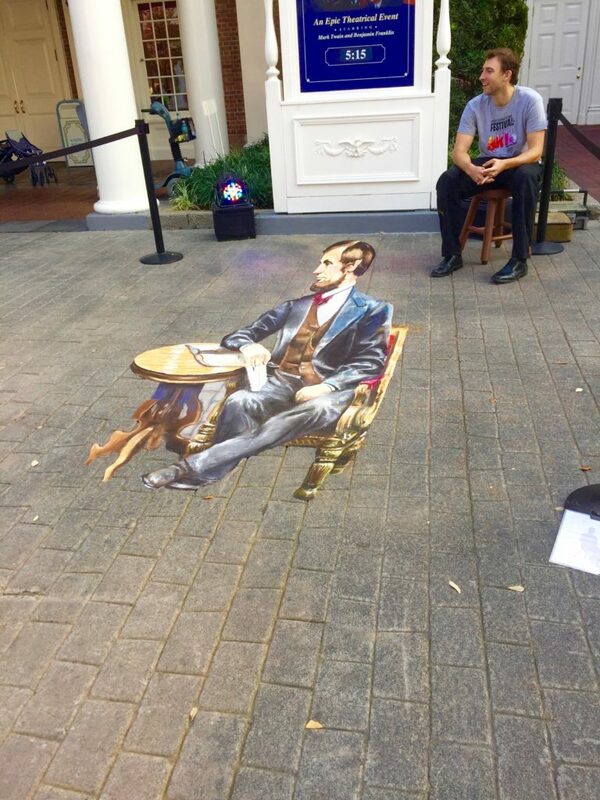 The 3D chalk art is so cool. We hope you get to visit Epcot too. It is so often overlooked, and it’s our favorite! 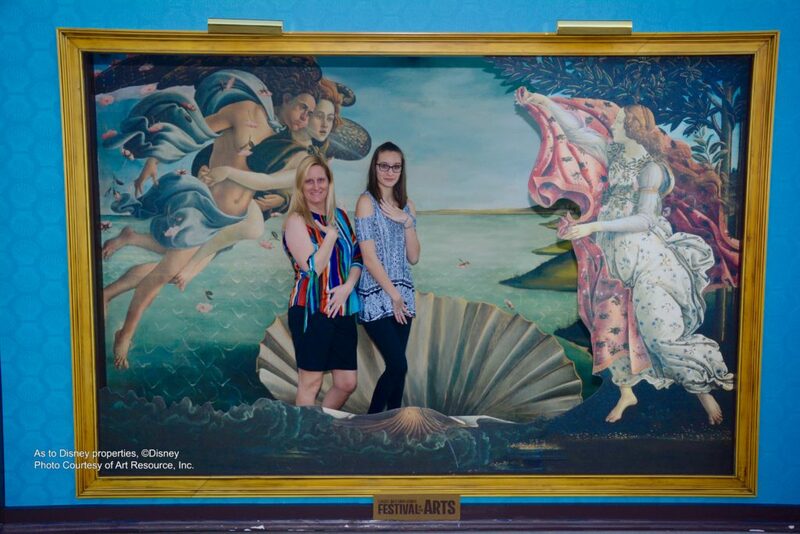 We went to the Festival of the Arts 2 years ago and it was so fun! 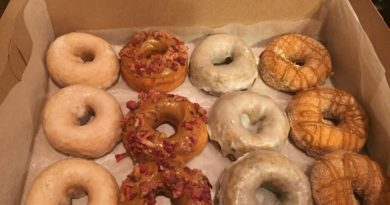 Great review and list for anyone who is going! So happy you got to visit the festival. What a fun experience! I would love to walk around and look at the chalk art. 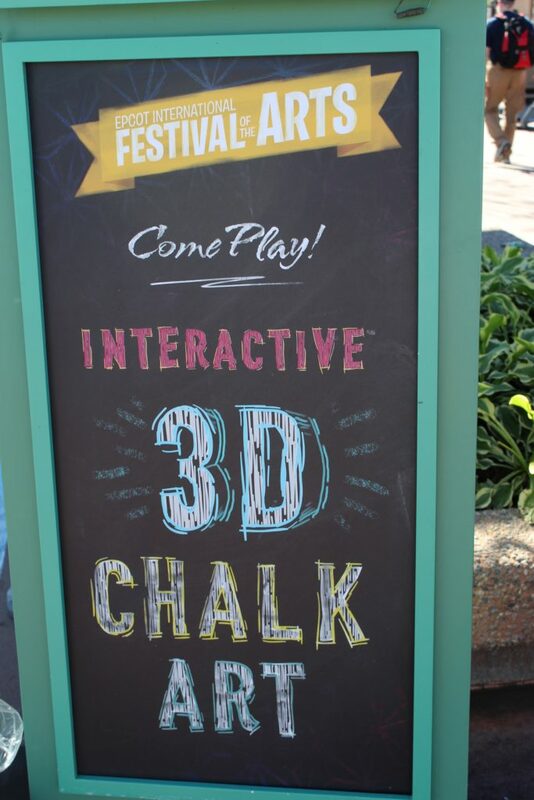 We can’t wait to see what kind of chalk art we see next time we visit! Would love to make it to Epcot during a Wine and Food festival, but beer and popcorn how can you go wrong! thanks for the info. looked like a lot of fun. It’s great how they’ve incorporated food and drinks into all the festivals!! 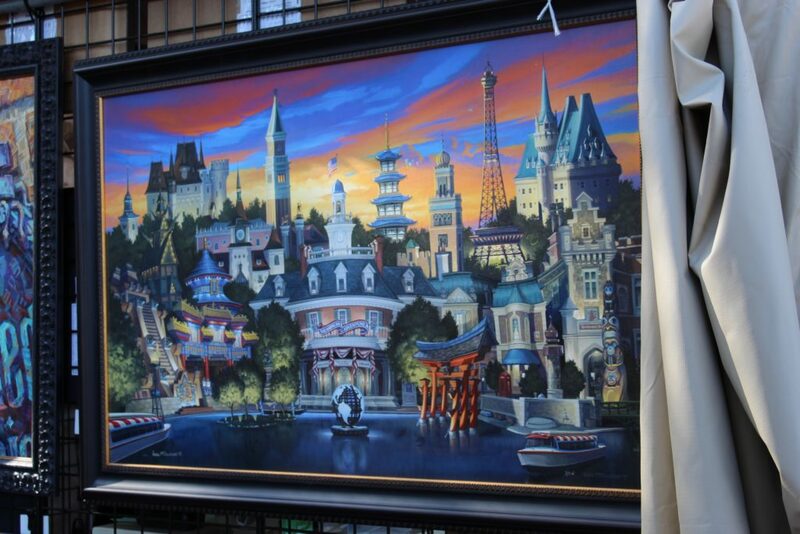 I’d love to go to Disney during the Festival of the Arts one year. Unfortunately, as a teacher, I don’t have enough time off in January or February. Your photos are awesome! This looks awesome! Like the comment before mine, I’m a teacher, too. So maybe someday I’ll get to visit. The food looks so artistic! It seems like a great time. Oh no 🙁 Hope you can work it in one year. This looks like there’s something for everyone! I love Disney! What a great festival! Epcot has become festival almost all year long! !